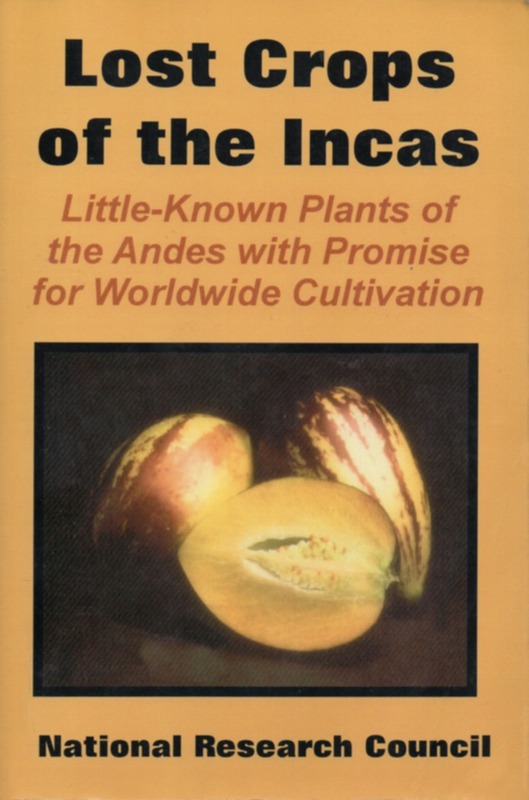 Most -- though not all -- of the plants we work with at Gaiámeter can be found in a little known book, called Lost Crops of the Incas (see digital copy), first published in 1989 by the National Research Council. Although progress has been made since the authors could lament in the Introduction to the book that "it is not too late to rescue these foods from oblivion" (p. 3), wider recognition of the majority of the plants detailed in the book has yet to be seen. Kiwicha, for example, is "one of the most nutritious foods grown" (p. 139). Although a close relative of this Amaranth family member (Amaranthus cruentus) comprised 35% of the caloric intake of the Aztecs in Mesoamerica before the arrival of the Conquistadors -- to say nothing of its importance here, there isn't one Canadian or U.S. citizen in a thousand who has ever eaten it. Quinoa is now widely available in Western markets due to its highly touted benefits as a "high protein cereal" (16-23%). We carry multiple varieties -- (see products). It commands a very high price in the supermarkets now. So what's the solution? 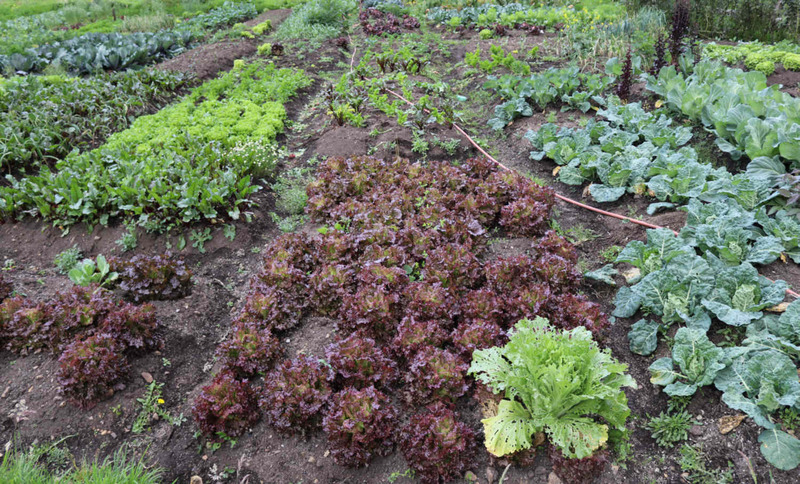 Our varieties grow like weeds, so plant your own. Tarwi -- (called "chocho" in Ecuador) -- is another amazing plant. Its seeds contain more than 40% protein, 20% oil, and it grows in marginal soils. It is so beneficial that the authors of Lost Crops were lead to remark, "On the face of it, it is surprising that tarwi (Lupinus mutabilis) has not been developed as an international crop." These are just some of the amazing plants (seeds) that we carry in our catalog, which are more thoroughly detailed in Lost Crops. When we relocated Alpha Omega Labs to Ecuador in 2007, one of the first things we did was go about the business of finding South American (locally grown) medicinals to replace the ones we routinely sourced in the U.S. That same year we decided to purchase 70 hectares (about 173 acres) and create our own experimental gardens. The work was not easy. The farm was (and is) at 2,900 meters (about 9,400 feet) in the Andes mountains and caters primarily to those cultivars that have adapted over eons to the chilly nights, cold rainy season, and high altitudes. Not that this region doesn't hold enormous agricultural promise. It is the home of the potato -- perhaps the best known and most influencial global food source to come out of the Incan conquest in the early 1530's. But as is often the case with the advance of civilization (which is, more times than not, anything but civilized), more was lost here than was gained. The incredibly nutritious Andean cereals (quinoa, kiwicha, and kañiwa -- dismissively preferred to as pseudocereals outside the Andes) were replaced by far less nutritious European grains (wheat, barley, and oats); small fruits like Goldenberry (called "uvilla" here in Ecuador) and mortiño (Vaccinium floribundum) that are nothing short of miraculous superfoods were replaced by oranges, apples, and peaches, which are more commercially viable, but nutritionally inferior; and remarkably versatile tubers, less marketable than the potato, such as mashua, oca, arracacha, and yacon, became all but unknown to the majority in the generations of inhabitants who would continue to make the Andes their home. South America has been experiencing the same collapse in seed diversity as the rest of the Americas. But there is hope. Since the publication of Lost Crops of the Incas in 1989, some of these neglected plants have seen a larger audience. For example, quinoa, babaco, and yacon, are now known and purchased by millions in the West. Goldenberries have just recently been recognized as a superfood, while more people are recognizing their high nutritional value, and use as a weight loss product. With all of this in mind, we have created Gaiámeter as a source for Andean heirloom seeds, which lend themselves to cultivation in other areas, as well as locally grown fruits and vegetables using superior nutrient-enhancing soil inputs. On this site you will find, in our product section, detailed information for the planting, nurturing, and harvesting of these amazing plants. While we work to enlarge the site and add more cultivars, we would appreciate it if you would address any questions you have to : info@gaiameter.com, or use our contact page. 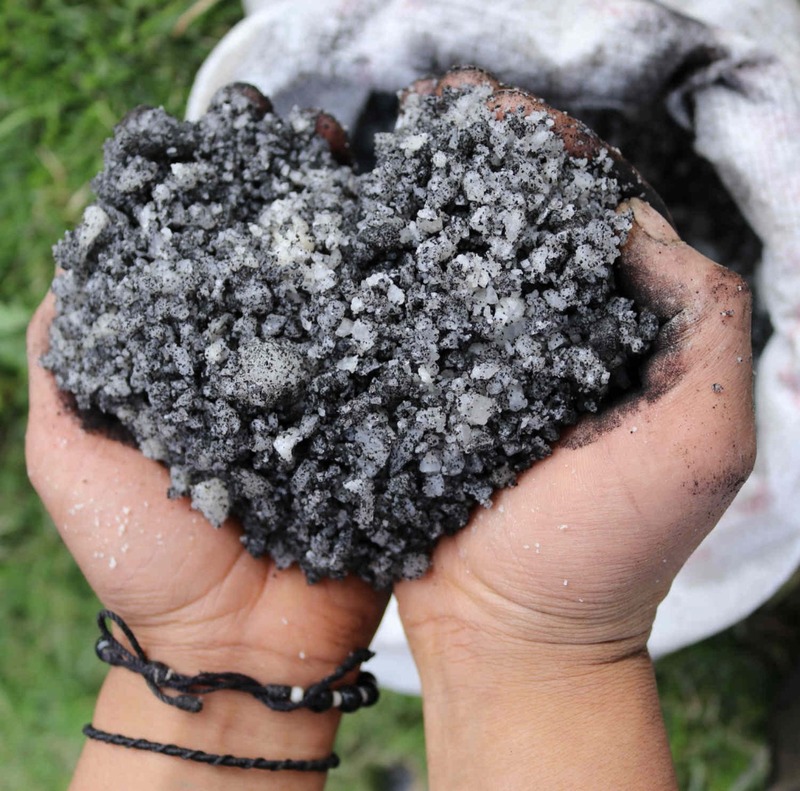 At Gaiameter, we use a combination of raw sea solids (with over 80 trace minerals), combined with a full humic / fulvic acid formula that we import from the States to maximize mineral uptake and improve plant immunity and nutritional value. This, in addition, to the inputs we use for natural, time-released NPK nutrition. We use a novel combination of organic soil inputs at Gaiameter to maximize plant health, immunity, and the nutrition of our harvested crops. 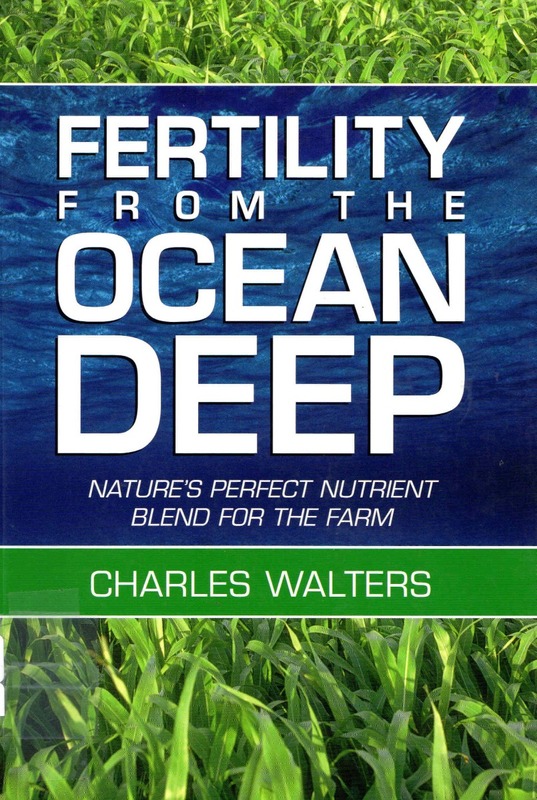 In addition to unprocessed sea solids, humic and fulvic acid (i.e. leonardite), we make extensive use of worm castings to increase NPK content.